Information technology (IT) is used as a tool to reduce some of the problems generated by fragmentation typical of project management (PM). The use of IT improves coordination and collaboration leading to better communication practices. Nowadays PM, due to the high level of complexity which characterizes the context in which firms operate, requires a concrete information system and suitable managerial accounting. Such tools are basic to support project-managers in the decision making process and aiding performance evaluation. 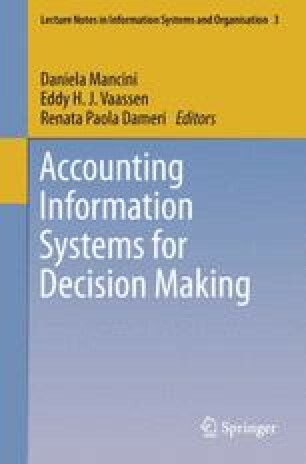 The aim of this chapter is to analyze the relationship between PM, information systems and managerial accounting from a theoretical and pragmatic perspective. An input–output model will be used to clarify and analyze the correlation between managerial activities and firm performance. The managerial implications of a set of methods and techniques suitable to manage a project in its different aspects and phases will be emphasized.